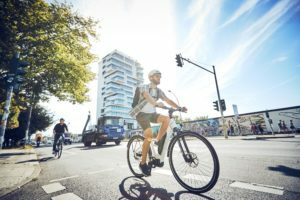 SACHSELN, Switzerland – Electronic components which were well enough for a NASA mission, must be good enough to prove itself on the competitive e-bike market. 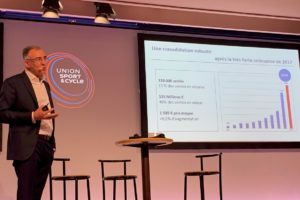 That idea made Maxon, the Swiss specialist for high-performance micro motors, decide to develop an efficient rear-wheel drive for e-bikes. More than ten years after the start of the e-bike boom, the business continues to grow. Year after year new drivetrain systems are launched. 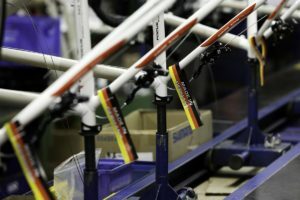 However, it can be called courageous that even a Swiss company so far unknown in the cycling industry enters this business. Maxon Motor based in the Swiss canton Obwalden presented their rear wheel hub motor called Bikedrive as a world premiere at the Swiss national bicycle festival Bike Days. 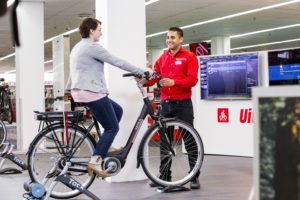 This new entry adds up to Switzerland’s list of high end e-bike drive manufacturers from Dolpin to Stromer and Speedped to GoSwissDrive. For Swiss industry insiders, Maxon’s market entrance did not come as a surprise as it was prepared long before. 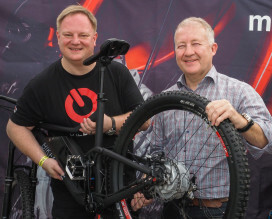 In 2010 the two former mountainbike racers Albert Iten and Roland Abächerli founded a company to design a drive for mountainbikes not yet existing at that time. Soon they got in touch with Maxon Motor AG. The Swiss specialist for micro motors has a world reputation as supplier for the NASA’s Mars Rover. 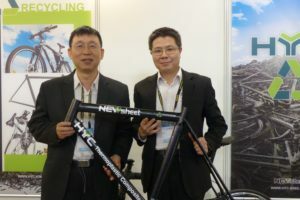 Moreover the company had specific e-bike experience with the minimized and ‘invisible’ Gruber Assist, and the actuators of Campagnolo’s electronic gearshift. Maxon is larger than any Swiss bicycle company with a turnover of CHF 360 million (€ 341mn). Only thanks to the company’s long time mechatronic experience it is able to create an entire drive on its own within a reasonable time frame – engine, gearbox, battery and battery management system. The result, the Bikedrive, turned out to be quite competitive: the Maxon novelty with its characteristic cooling fins is lighter (3.5 kilograms) and more compact than comparable products. A new feature is turning a handle instead of a snap fastener to choose the level of support. Elmiger explains: “The throttle is much more intuitive than the usual fiddling on a display – so we leave that part out completely”. Thus Maxon is swimming against the tide of displays still getting larger and more complex. Definitely not quite state of the art is the somewhat clunky looking battery. According to Elmiger this model is only a temporary solution; leaner and even integrated versions are already in the pipeline. Since Switzerland has the highest market share of speed pedelecs one would actually expect a 45 km/h version from a Swiss development. According to Elmiger “it is under construction” as well. The speed pedelec version is a major challenge anyway. To date each new hub motor struggled with overheating during long strain in the low speed range. The most challenging issue for Maxon is the level of noise made by the Bikedrive. This was only slightly less in the first production models compared with the prototype. According to experts this makes the drive not very competitive yet. Project manager Max Erick Busse-Grawitz explains their choice for steel instead of plastic for the high-performance gear to improve performance and quality. Since June e-bikes with Bikedrive are sold by the Swiss domestic brand Ibex.